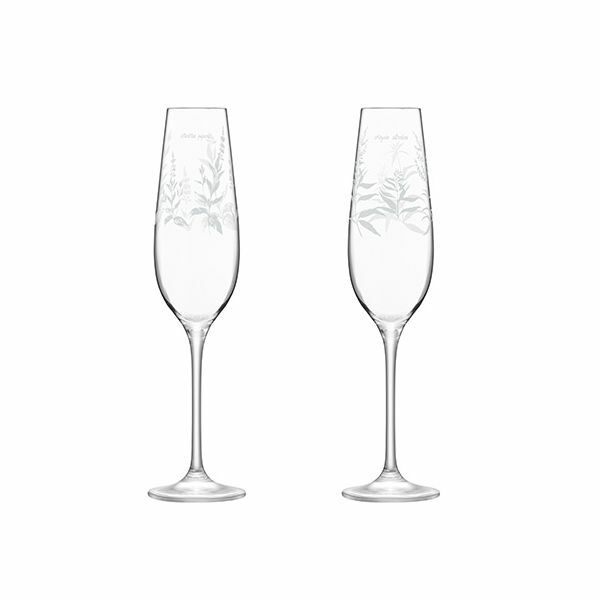 Inspired by the British Royal Botanic Gardens, the Kew etched floral design features verbena, lavender, chamomile and peppermint. 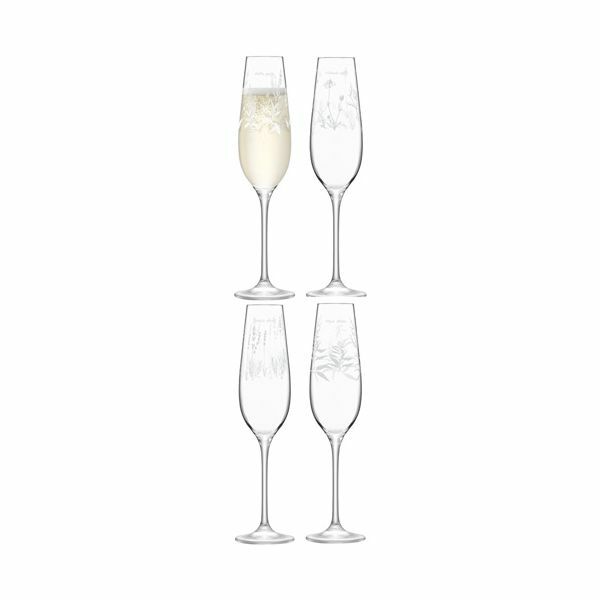 This set of four mouth blown Champagne flutes are ideal for a refreshing Champagne drink and entertaining for all occasions. Fast delivery. Great price. Great product. Couldn't ask for more. 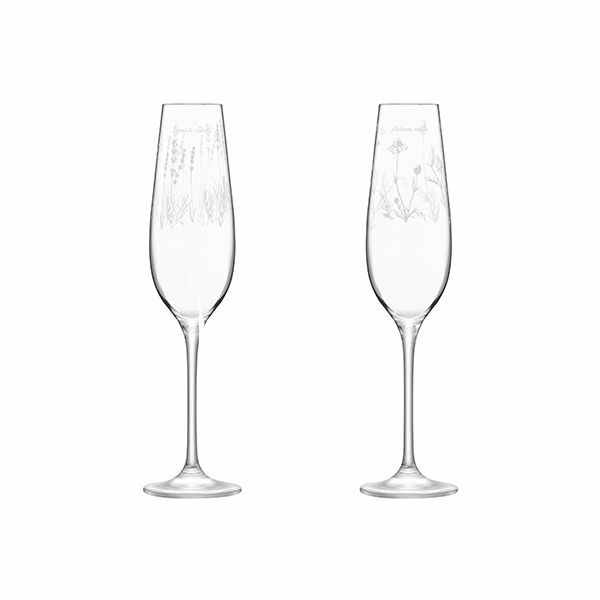 Beautiful glasss, that are very good value.